GEORGE BROWN OF RHODE ISLAND had a problem. Within nine years he had lost his wife, Eliza, and two of his daughters, Mary & Mercy, all to consumption. With his son Edwin at death’s door suffering from the same condition, he had to do something. So against scientific, medical advice he was persuaded to try an old folk ritual. On May 17th, 1892, the three women’s bodies were exhumed and examined for any … unnatural … signs. 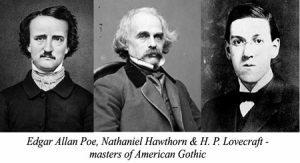 ‘VAMPIRES’ … IN NEW ENGLAND? 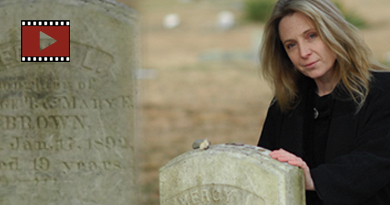 The contemporaries and friends of Mercy Brown, Sarah Tillinghast and the other unfortunate victims never referred to them as vampires: the term has been retroactively applied (perhaps first in 1979 in a local newspaper article) and applied from ‘above’ (by the writer of The Vampire Tradition and George Stetson – see below for both). Not all supernatural draining creatures are called vampires by the communities which experience them, but we moderns like the word and apply it pretty indiscriminately. The first point hits near the mark. Unnatural Predators do preoccupy people who are in extreme difficulty. But the ‘human constant’ theme that arises is the scapegoat. Digging up the dead is a little too specific a meme. Unfortunately, we sometimes blame the living too. Bookmark this site for Witch-Hunts, planned for the future. The second thought is clearly wrong: if digging up the dead was common across Europe, why were the Austrians so repelled by it that they took to writing aghast official documents about Arnod Paole and Peter Plojogowitz? We have records of the most bizarre folk rituals, from throwing toad bones for divination, to marching lines of cattle between bonfires. If there’s no trace of such a thing, there may be a third, as yet unidentified, community which is responsible: the whole subject could do with more research. Thirdly, there’s the issue of epidemic death, specifically death from tuberculosis. 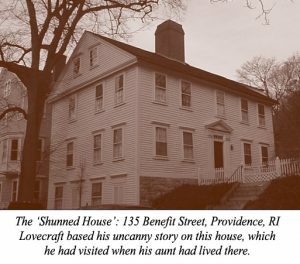 So, the nineteenth century inhabitants of Rhode Island witnessed an epidemic of a disease against which they were powerless, a disease that passed freely among family members. Death is contagious. O’er her cheeks what such beauty shed? Karl Derrick. Makeup effects supervisor, author and screenwriter. Also cameraman and enthusiastic supporter. Reversion by Stone Idols is an ambient album by Rob Jenkins, Martin Smith & Neil Cowley. It’s my very favourite music to write to. Please support the music by downloading it here. A facsimilie of George Stetson’s classic essay from The American Anthropologist is available on the ‘net here. It’s always worth reading Montague Summers for the purple prose and utterly confabulated extras. He covers the Rhode Island vampires in this book.